CRIME, GUNS, AND VIDEOTAPE: Was Michael Hastings Running for His Life When He Crashed? Was Michael Hastings Running for His Life When He Crashed? 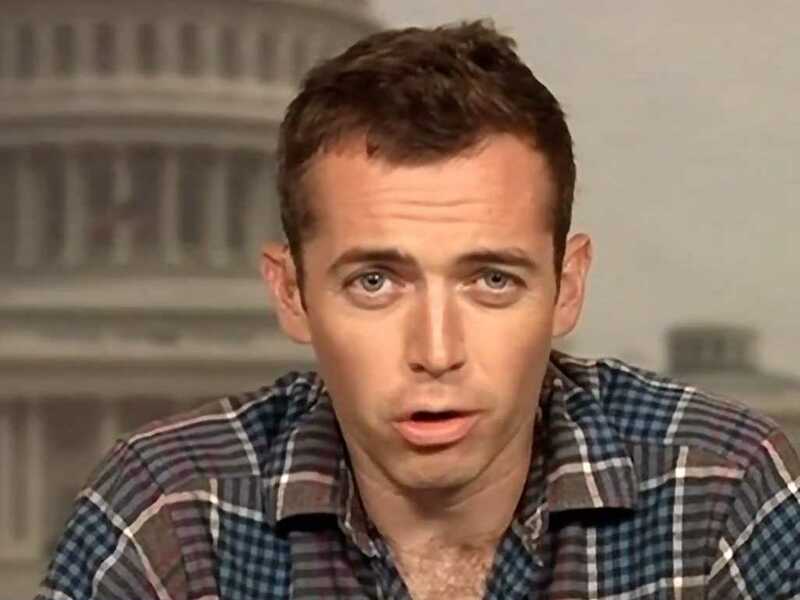 Los Angeles, CA—Award winning journalist Michael Hastings reportedly was under investigation by the FBI after his explosive interview and news story that led to the resignation of General Stanley McChrystal. The sudden rash of conspiracy theories surrounding Hastings death seems to have serious merit. As a long time investigator, I have obvious questions. I have learned that Hastings was a good and temperate driver. The 4:15 AM, June 18th fiery crash of his Mercedes sedan in Los Angeles show signs of incredibly high speed that apparently caused the loss of control of the car by Hastings. Very recently Hastings had complained to several people that he was under surveillance by the FBI. The FBI is nothing more than an arm of Eric Holder’s Justice Department and they often get instructions from the very highest levels of government. The only thing that comes to mind is that Hastings must have been running from someone threatening him. We all know the Obama Administration has gone rogue with surveillance and currently they are in paranoia mode with even their most loyal media cheerleaders at the major networks and newspapers. Lately they’ve been unsuccessfully doing cover-ups and damage control is at a furious pace. Controlling leaks is proving impossible. Hastings has been obviously viewed as a major threat to the Obama and his henchmen. Obama claims he only traded American liberty and privacy for public safety. Spying on the media is unacceptable in any free society. That’s not stopped Obama’s style one bit. Obama’s clearly out to crush anyone that creates the slightest amount of embarrassment to him. America has spiraled right into a Banana Republic in that regard. The immediate questions I have are was Hastings under surveillance at the time of his death? Was a GPS device attached to his car by anyone? With drone technology the covert GPS like I sometimes employ is antiquated by comparison. Where was Hastings in the few hours that led up to the time of death? Was there an incendiary device in the car that caused or embellished that inferno that followed the crash? Has the Federal government involved themselves into the routine LAPD accident investigation and why? Somehow I don’t expect any transparency here. This mysterious death is in dire need of a comprehensive, exhaustive and independent investigation. calling on Obama to put an end to unchecked government surveillance by taking action to repeal the surveillance state provisions of the Patriot Act and FISA. We need to build a strong public outcry if we're going to get change—can you help by spreading the word to as many people as possible? Snowden’s disclosure publicly revealed that, under provisions of the Patriot Act and the Foreign Intelligence Surveillance Act (FISA), the National Security Agency (NSA) has direct access to the systems of Microsoft, Google, Facebook, Apple and other major U.S. internet companies, and the phone calls of nearly every American. I’ve seen firsthand how the consequences of [this] kind of government abuse threaten our most fundamental liberties…we may find ourselves in a dangerous situation in which average citizens, along with Congresspersons, journalists and their sources, even judges, are watched around the clock and afraid to dissent. The core fixtures of our democracy—the right to protest, the right to live freely in the pursuit of life, liberty, and happiness without government intrusion—could be weakened beyond repair. Numerous questions need answers regarding this tragedy. 1. Where had Hastings been and where was he going at 4 AM? 2. There are no doubt several traffic cameras and surveillance cameras along North Highland Ave. where Hastings was driving just prior to the crash. 3. Was a GPS device planted on his car, and did the Mercedes Benz have a factory installed GPS device which would provide any indication as to the movement of the car prior to the crash? 4. Cell phone records; What were Hastings' most recent calls prior to the crash? 5. Was there any residue of foreign substances on or near the car at the crash site, i.e., flammable or explosives? 6. Were any other vehicles shadowing Hastings prior to the crash? 7. Was there any type of mechanical malfunction of the Mercedes? More questions but yes, answers are required. It's time the American people mobilize against this brazen lack of integrity and blatant abuse of power by the national media. The MRC is calling on all truth-loving Americans to sign this petition demanding that the liberal media stop their censorship of the news. Whether it's media blackouts, selective editing, or conducting softball interviews, the American people deserve better—you deserve the truth! Hastings didn’t do anything to bring down McChrystal. It was the General’s own big mouth that did that. A possible scenario that I can see is that other military officers were perhaps talking to Hastings too, either revealing their opinions of the administration as McChrystal did or the details of something much more serious. It is no secret that Christians and those with conservative – libertarian views are being purged out of the military and high-ranking officers are being replaced on a massive scale. They’re also deploying more National Guard and Reserve units over seas and pulling active duty units’ back home. Could this be happening because the administration feels the active duty units are more politically reliable and they are gearing up to suppress a rebellion? Most Americans take comfort in the idea that our military would never raise their arms against the American people but they’re probably not aware of how many foreigners and professional career soldiers exist in the ranks of our active duty forces. Our military is becoming more mercenary everyday. The citizen-soldier does not really exist anymore and we should not be so confident of their loyalty to the people. 2nd commenter is 100% correct. SOMEBODY knows what he was doing out at 0415 hours. Let's determine that. And before we get carried away, we have to remember how inept and incompetent the US Government is. Strategic, proactive thinking is out of the question. Reeks of the Princess Diana crash. A device installed under the car, controls speed and steering. Easily and quickly removed. The witness, while difficult to understand, seemed to be saying the car was on fire before it crashed. Based on the position of the car, almost perpendicular to the road, how did the engine block end up 100 feet down the road, rather than in the yard across the street? The damage to the car does not seem to have been severe enough to propel a 400 lb engine block 100 feet. Such an impact would seem to result in the car desintegrating, which it clearly didn't. The initial damage was to the front of the car and driver's area, not near the gas tank so why did it explode? Neighbors said it sounded like a bomb and shook their homes. Why is the most serious damage to the left side driver compartment? And finally what happened to the witness? Not a peep. Bringing the Darkness Into The Light! The US government has charged Edward Snowden with three felonies, including two under the Espionage Act, the 1917 statute enacted to criminalize dissent against World War 1. Prior to Barack Obama’s inauguration, there were a grand total of three prosecutions of leakers under the Espionage Act (including the prosecution of Dan Ellsberg by the Nixon DOJ). That’s because the statute is so broad that even the US government has largely refrained from using it. But during the Obama presidency, there are now seven such prosecutions: more than double the number under all prior US presidents combined. How can anyone justify that? For a politician like Obama who tried to convince Americans to elect him based on repeated pledges of unprecedented transparency and specific vows to protect “noble” and “patriotic” whistleblowers, is this unparalleled assault on those who enable investigative journalism remotely defensible? What [The Obama Administration] hates are leaks that embarrass them or expose their wrongdoing. Those are the only kinds of leaks that are prosecuted. It's a completely one-sided and manipulative abuse of secrecy laws. It's all designed to ensure that the only information we as citizens can learn is what they want us to learn because it makes them look good. The only leaks they're interested in severely punishing are those that undermine them politically. The "enemy" they're seeking to keep ignorant with selective and excessive leak prosecutions are not The Terrorists or The Chinese Communists. It's the American people. "Was Michael Hastings Running for His Life When He Crashed?" From the raw youtube footage, it doesn't look like the driver side airbag deployed (not that this would have saved him anyway). Maybe the airbag burned up in the fire, which is why I didn't notice it. If it didn't deploy, then why not. There's been a lot of speculation that his car may have been taken over electronically. Could his airbags have been disabled in this way as well? Maybe to insure he died on impact? Something to think about. News reports state that a Jewish emergency medical response group were on scene moments after the crash. Such groups are usually composed of ex-military and are often affiliated with Israeli Mossad according to hearsay evidence (and common sense). Their presence suggests some sort of cleanup operation to remove evidence, redistribute automotive wreckage to blur later analyses, etc. A friend of Michael Hastings told Fox News today that the Rolling Stone journalist was working on the “the biggest story yet” about the CIA before his suspicious death and that Hastings drove “like a grandma,” making it extremely out of character for him to be speeding in the early hours of the morning. “So if there were a cyber attack on the car — and I’m not saying there was,” he said, adding “I think whoever did it would probably get away with it,” and that “intelligence agencies for major powers” have such capabilities. Questions about the circumstances behind Hastings’ death have persisted because he made a number of enemies in positions of power. Center for Constitutional rights released the following statement on 30th July 2013 in response to the verdict in the Bradley Manning trial: Posted here because of the relevance to a free press and First Amendment rights. and it is outrageous that the government chose to invoke it in the first place against Manning. Government employees who blow the whistle on war crimes, other abuses and government incompetence should be protected under the First Amendment. We now live in a country (USA) where someone who exposes war crimes can be sentenced to life even if not found guilty of aiding the enemy, while those responsible for the war crimes remain free. If the government equates being a whistleblower with espionage or aiding the enemy, what is the future of journalism in this country? What is the future of the First Amendment? Manning's treatment, prosecution, and sentencing have one purpose: to silence potential whistleblowers and the media as well. One of the main targets has been ... WikiLeaks and Julian Assange, for publishing the leaks. Given the U.S. government’s treatment of Manning, Assange should be granted asylum in his home country of Australia and given the protections all journalists and publishers deserve. CCR filed a case challenging the lack of transparency around the Manning trial. The charges of which Manning were accused represent an ongoing assault on dissent and an attempt to chill any voices seeking transparency and accountability from government officials. Manning's prosecution is also a portent of the potential threat to anyone who uses the internet to share information. The 1998 movie "Enemy of the State" was directed by Tony Scott _ a man who sadly & apparently committed suicide in 2012 by jumping off a bridge in California. "Enemy of the State" the movie used the thriller genre to attack what it calls "the surveillance society," an America in which underground computers at Fort Meade monitor our phone calls for trigger words like "bomb," "president" and "Allah." It is about a Washington, D.C., lawyer whose life is dismantled because he possesses proof that a congressman was murdered for opposing a bill that would make government snooping easier. For much of the movie, the lawyer doesn't even know he has the evidence, a videotape showing the congressman's suicide being faked while a high government official looks on. " Life copies art sometimes - & is possible that English Director Tony Scott's suicide was NOT really a suicide? Was his suicide a suicide under pressure & made to look like a suicide? Did Tony Scott run into something that someone else didn't want him to see & which had to be covered up? Just a thought. "Enemy of The State" certainly predicts and is similar to the era we are now in - with the NSA spying on everyone, & Edward Snowden, Julian Assange and Chelsea Manning! "On Sunday afternoon, (Aug 19th 2012) filmmaker Tony Scott parked his car, climbed a fence and jumped to his death because he had brain cancer. At least that’s the version of the story reported by ABC News — the same media outlet that allegedly covered up George Zimmerman’s head wounds and claimed Aurora, Colo., shooting suspect James Holmes was a member of the Tea Party. ABC News claimed that the report of Scott’s brain cancer came from “a source close to him.” But the story took the family by surprise. Apart from the fabricated detail of brain cancer, it’s questionable that a 68-year-old would be able to calmly climb an 18-foot fence, which is what reports claim Scott did before his 185-foot free fall. Did Scott know something that led to his untimely peril? Maybe a self-inflicted exit was better than whatever the alternative may have been. That is, if he jumped at all. A corpse dumped in a body of water isn’t that uncommon. Scott and his brother Ridley Scott have a miniseries on A&E, “Coma,” ...The show is about a conspiracy at a medical facility. It exposes a hospital that intentionally performs botched surgeries on patients. “Coma” is supposedly based on the novel of the same title by Robin Cook. But we all know that many “fictional” books and movies are based on real events. Interestingly, the miniseries contains allusions to Atlanta, the home of the Centers for Disease Control and Prevention. Could it be that “Coma” is based on a true story that someone wants to keep hidden? Besides “Coma,” a Tony Scott documentary is set to air next year on the National Geographic Channel, “Killing Lincoln.” Supposedly, the film lends credence to conspiracy theories surrounding the death of the former President. Maybe the pressure on Scott wasn’t because of a project already set to air, but something in the files. At the time of Scott’s alleged suicide, he was working on a few other projects — the most notable of which being the sequel to “Top Gun,” the 1986 blockbuster. The sequel was going to be based on the use of drones in modern combat. Scott spent the last few days of his life at a naval air station in Fallon, Nev., doing research for the film. In 2009, there were reports of UFOs at the station. Did Scott discover something while at Fallon? If “Coma,” “Killing Lincoln” or “Top Gun 2” isn’t to blame for Scott’s death, perhaps the answer can be found somewhere behind the making of “Obama’s America 2016,” a recently released film that seeks to explain Obama’s past and his plans for the future. Scott has a connection to the movie through Gerald R. Molen, the producer of the film. Molen, Scott and Tom Cruise have a cinematic triangle of sorts. Molen, Scott and Cruise worked together on the 1990 film “Days of Thunder.” Molen worked with Cruise on the set of “Rain Man” and “Minority Report.” Scott and Cruise worked alongside each other in “Top Gun” and were spending time together shortly before Scott’s death. Even though I can’t say for sure what took place on Sunday, I’m fairly certain of what will happen in coming weeks. First, an autopsy will be released and the alleged suicide will be blamed on drug use or an unknown medical problem (the family already refuted the claim that he had “inoperable brain cancer,” so his behavior will be described in other terms). Second, all of the videos that were supposedly taken of Scott’s leap will never be viewed (because they don’t exist). Third, more witnesses will come forward to say they saw Scott jump off the bridge (in an attempt to make the story more credible)."